The #1 boat cleaning in Long Beach. Our expertise includes the complete washing, cleaning and detailing of boats of any kind. We offer amazing boat detailing and cleaning services to help keep your watercraft looking fine and healthy year-round. Whether you own a pontoon, personal watercraft, fishing boat, river boat or any other, we know how to clean, detail, buffer and restore any boat's finish. Don't let your prized possession go another day without proper detailing and cleaning. We know the type of seaweed, particles, water erosion and other water-based bacteria that can heavily rot your boats exterior surfaces. Our company knows exactly how to treat and clean boats, propellers, hulls, and sterns back to perfection. 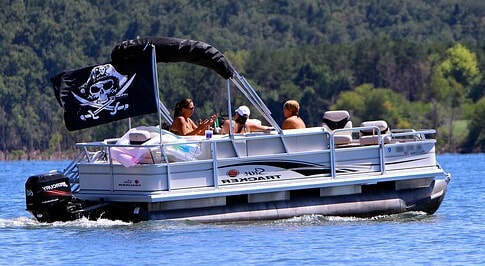 Our services are entirely mobile so we'll clean your boat at your house, your dock, storage facility or more. We offer complete interior boat cleaning as well regardless of material and make-up. Our boat cleaning is the most affordable service package in Long Beach. Overviews of our service checklist with each client as well as the right cleaning agents to use if you're looking to self-perform on the spot if ever needed (we're all about education). You'll be in good hands with our Long Beach boat detailing service. Give us a call at (562) 242-3089 to get more information on pricing and when we can schedule a boat cleaning care at your convenience.